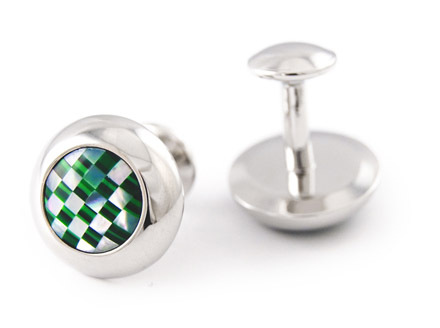 These cufflinks will make you stand out. 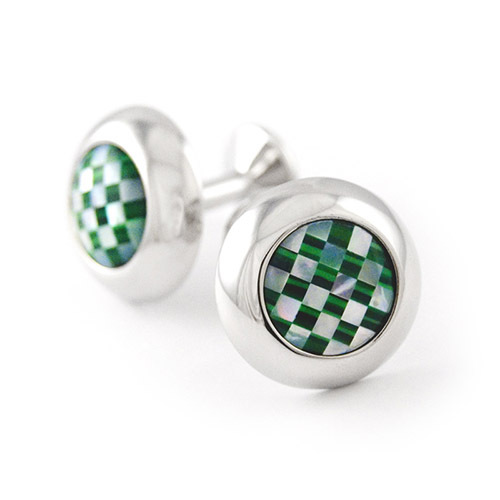 Like small gems on the wrist, keeping your cuff closed and looking great at the same time. 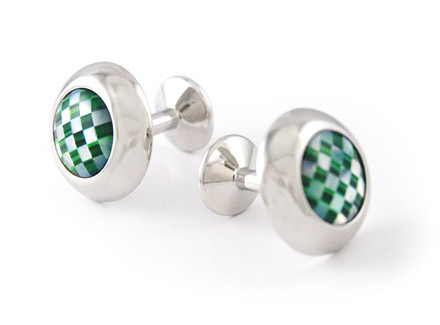 White and green marble surface in a checkered pattern against the chrome metal base. Elegant and subtle! They are made in copper with nickel free metallic plating.